Earlier this year, Hubble Telescope found a Megamaser that was around 100 times brighter than the Maser found in our galaxy i.e. Milky Way galaxy. So, you must be wondering What are Megamasers, How do they look like and Why NASA is so excited about them. Here, we have everything about Megamaser that you should know. A Megamaser acts as an astronomical laser that beams out microwave emission rather than the visible light. The word ‘maser’ is derived from the acronym MASER, which stands for Microwave Amplification by Stimulated Emission of Radiation. This galaxy has a far more exciting and futuristic classification than most – it is a megamaser. 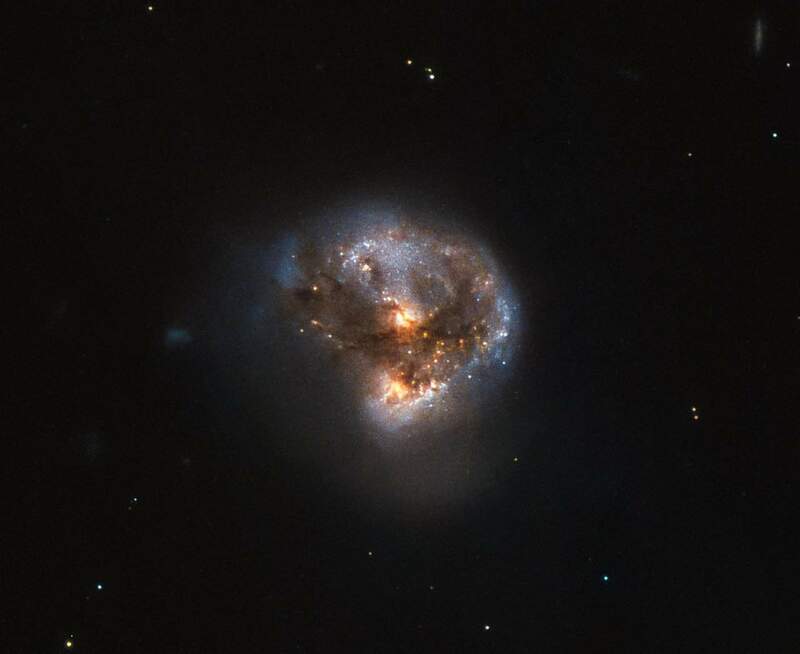 This megamaser is named IRAS 16399-0937 and is located over 370 million light-years from Earth. Megamasers can be made in labs and are found naturally in galaxies such as Milky Way. In 1965, the first maser (a hydroxyl maser) was discovered in the plane of the Milky Way. In 1982, the first megamaser was discovered in the ultraluminous infrared galaxy Arp 220. 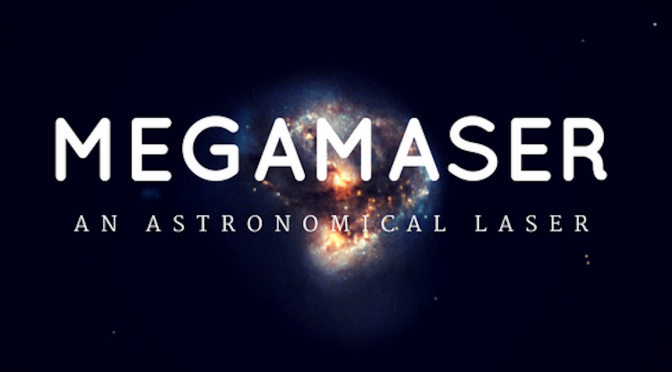 It was called megamaser because it was roughly 100 million times brighter than the maser found in the milky way galaxy. On December 29, 2017, Hubble Telescope found a megamaser galaxy called IRAS 16399 0937 and is located over 370 million light years from earth. It hosts a Double Nucleus formed of two separate cores in the processing of merging. These components, named IRAS 16399N and IRAS 16399S. are 11000 light years apart from each other. (The suffix N and S are for Northern and Southern respectively. However, being 11000 light years apart, both of them are buried deep within the same swirl of cosmic gas and dust and are interacting, giving the galaxy its peculiar shape. The two nuclei are also very different. IRAS 16399S appears to be a starburst region, where new stars are forming at an incredible rate. Whereas, the other nuclei (IRAS 16399N) is something known as a LINER nucleus (Low Ionization on Nuclear Emission Region). What is the difference between a Laser and a Maser? The laser is a device that emits a beam of light by controlling the emission of photons from excited atoms. Maser is a naturally occurring phenomenon that beam out microwave radiations rather than visible light. Maser – Microwave Amplification by Stimulated Emission of Radiation. As we can see scientists have only replaced the “L” word with the “M” word in Masers. So we can call them “cousins of lasers”. Previous PostHirudo medicinalis – An Old Medicine is New.Next PostPersonal Genomics: Gene Sequencing & Analysis in India.